From 1910 until women secured the vote in 1919, when Edna was in her 30’s, she worked with state and local Equal Sufferage Leagues, coming up with fresh ways to make people aware that without voting rights, women weren’t even second class citizens. In 1916 during the Democratic National Convention in St. Louis she helped organize the Walkless-Talkless Parade where 7,000 women clad in white dresses with yellow sashes and parasols lined Locust from 12th – 19th street. There they stared at the male delegates as they walked the route from the hotel to the conference. That evening, a Post-Dispatch editorial said the parade: “Mutely asks Democracy to throw her a plank in the political sea … She asks why shouldn’t a female have equal rights. Devotees of liberty and equality, look her in the face and tell her why.” Listen to Edna remember the the parade on December 18, 1964. Edna felt so passionate about voting rights for women that she canvessed the north half of the state, riding freight trains to different towns and talking to anyone she met along the way. Recalling her actions later in her 80’s, she commented that she would not put herself through that experience again, but was driven at the time by a deep passion for women to be allowed the right to contribute to society. Listen to Edna recall her days canvassing Missouri for the right to vote. 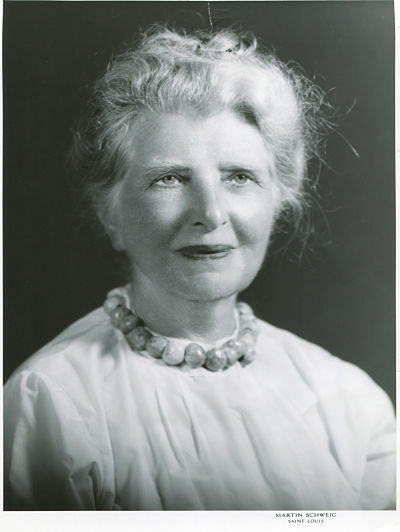 (1969) After women received the right to vote, Gellhorn travelled the state with the League of Women Voters, educating women about how to vote. 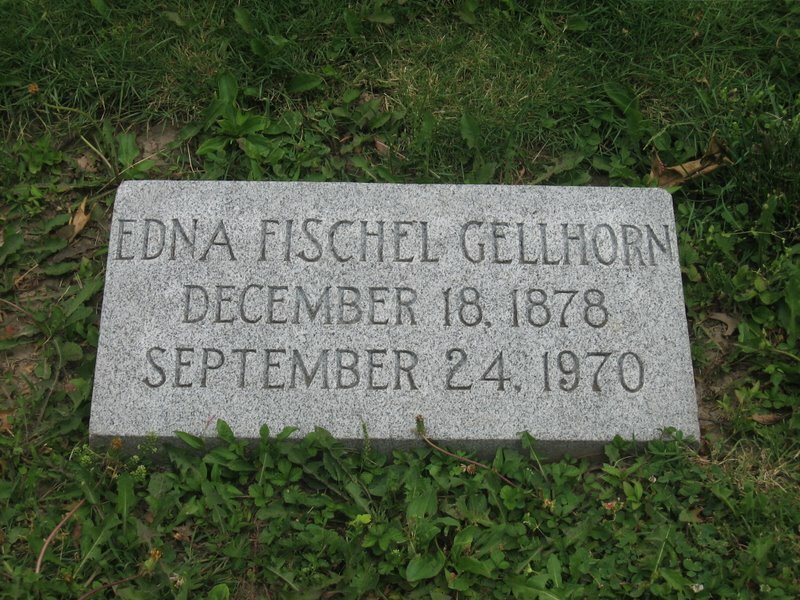 Gellhorn managed to have 3 kids during this time in her life, and lived on McPherson Avenue in St. Louis’s Central West End. Edna stayed active in the League of Women Voters, holding offices and providing reports to the national organization about women’s voting patterns. 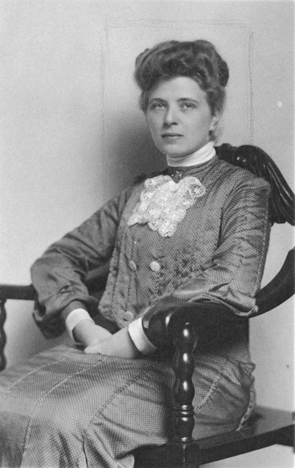 She was active in many civic groups in St. Louis, served as lifetime president of her class at Bryn Mawr College, worked for slum clearance, smoke abatement, Missouri’s merit system, racial integration and founded John Burroughs school. She received honorary degrees and awards for her efforts, often crediting her housekeeping staff for her ability to have the freedom to devote her time to civic issues. 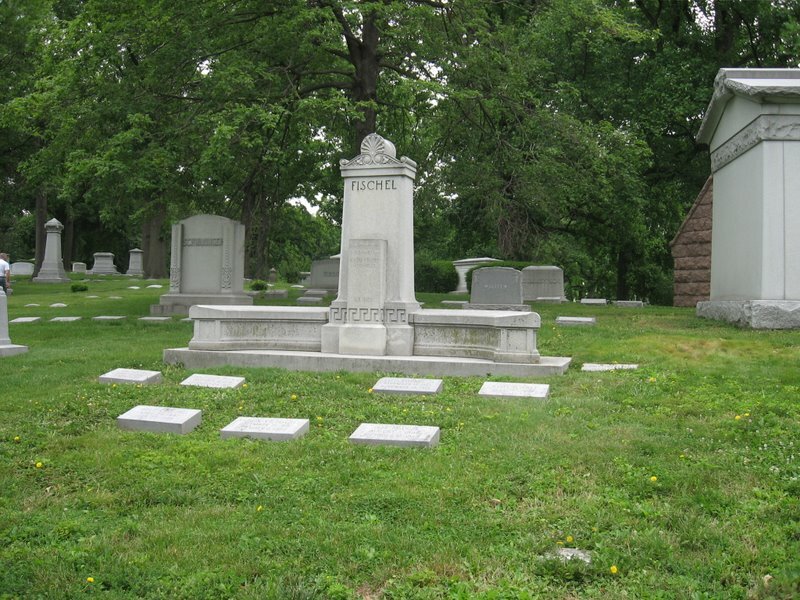 She died on September 24, 1970 and is buried in block 269, lot 5514 in Bellefontaine cemetery. Visit Gellhorn’s portrait in Olin Library, Washington University. Thanks to Edna -women in America enjoy so many freedoms. Thanks for the work you have done. It is amazing to hear Edna speak and not just read her being paraphrased.